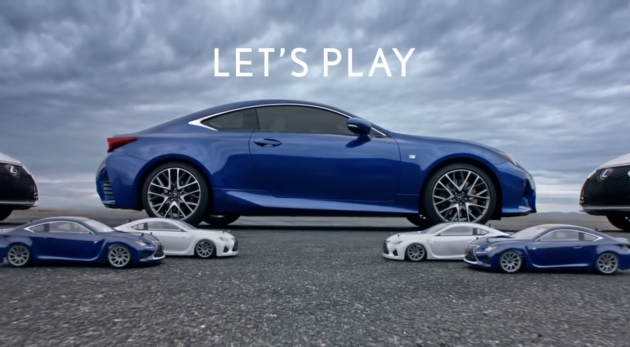 While the second Lexus Super Bowl ad, titled “Let’s Play”, may not have been popular with viewers, it plays off the RC name with remote controlled Lexus RC350’s and RC F’s drifting around before a real one joins the scene. The ad is certainly creative, but didn’t stand a chance compared to moving commercials like Nissan’s “With Dad” spot. 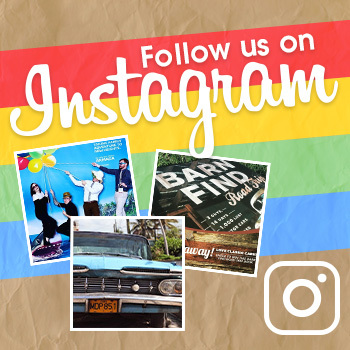 According to Adweek, however, Kelley Blue Book reported a 1,820% increase in searches for the car after the commercial aired, the largest increase of any car advertised during the game. The Lexus RC350 shown in the ad starts at $42,790 MSRP for the rear-wheel drive version and $45,025 for all-wheel drive. Both versions are powered by a 306 horsepower 3.5-liter V6 engine. The new V8-powered RC F was revealed at the North American International Auto Show in 2014, and just this year, Lexus brought the RC F GT3 Race Car back out into the spotlight, announcing their intention to get back into racing as soon as this year. At this year’s NAIAS, Lexus also revealed the GS F sedan that shares the 467 horsepower 5.0-liter V8 with the RC F.
What’s your opinion of the Lexus RC350 Super Bowl ad? Let us know in the comments.